Autumn is my favorite time of year because there are a lot of really great things to enjoy about it. For example, temperatures begin to cool off a bit and there are lots of fall vegetables available to make yummy after-harvest dishes. The leaves start changing and so do the menus of some of my favorite restaurants. Pumpkin, caramel, and apple dishes can be found and enjoyed all season long. But there are lots of fall activities that are fun too. 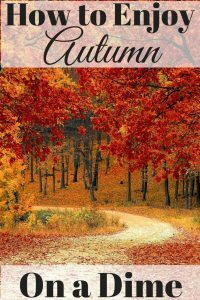 While some people spend a lot on fall activities there are plenty of ways to enjoy autumn on a dime. If you’ve never been to a corn maze before, they can be found all over the nation. A corn maze is simply a maze cut into the dry stalks of a corn field. From an aerial view, some corn mazes are quite spectacular. They may be cut to resemble cartoon characters, spooky figures, or anything the field owner decides. Most land owners create them for the enjoyment of others and if they do charge a fee, it is usually only a few dollars per person. Fall is a wonderful time to use items from nature to help you decorate for the season. Look around your yard or a park for loose twigs, pine cones, and other items to use in your décor. Add a few inexpensive pumpkins and perhaps a bale of hay and your fall decorating can be completed allowing you to enjoy autumn on a dime. While admission is charged for some football games, you may be able to get into a scrimmage without having to pay. Additionally, some exhibition games don’t charge admission at all. If you aren’t able to get to a regular high school game until half time, though, sometimes you can get in for a reduced fee. Even if you do end up paying full price for your admission, as long as you are not attending an NFL or college game you won’t have to pay a lot for this fall activity. A hay ride is another fun autumn pastime that allows you to enjoy autumn on a dime. In fact, sometimes when you go to a corn maze or other activity they offer hay rides too, typically for fairly low fees. Hay bales are stacked on a low trailer and pulled by a pick-up around a farm. Or, the hay ride may be a way to get back and forth from a public parking area to a corn maze or pumpkin patch. Autumn is the time when many different school districts celebrate their homecoming. Activities include a football game or two, dances, and a homecoming parade among others. Many people attend homecoming parades to support the schools in their community. They line up along the route of the floats to watch and cheer on their favorite teams for upcoming games. Generally, there is no admission for this activity. Lots of local events and flea markets have booths at craft fairs and other festivals during the fall. You should find plenty of things to admire and browse through without having to pay a thing. Of course, many small items are affordable and would make great gifts if you do have a little pocket change available to spend. When I was a kid, we held a homecoming pep rally around a bon fire before the high school football game. It was a great way to raise the spirits of the players and spectators alike. It was a traditional pass time we did that didn’t cost a lot but was fun and uplifting. I think I’ll always pick fall as my favorite time of year. One reason is because there are so many ways to enjoy autumn on a dime. 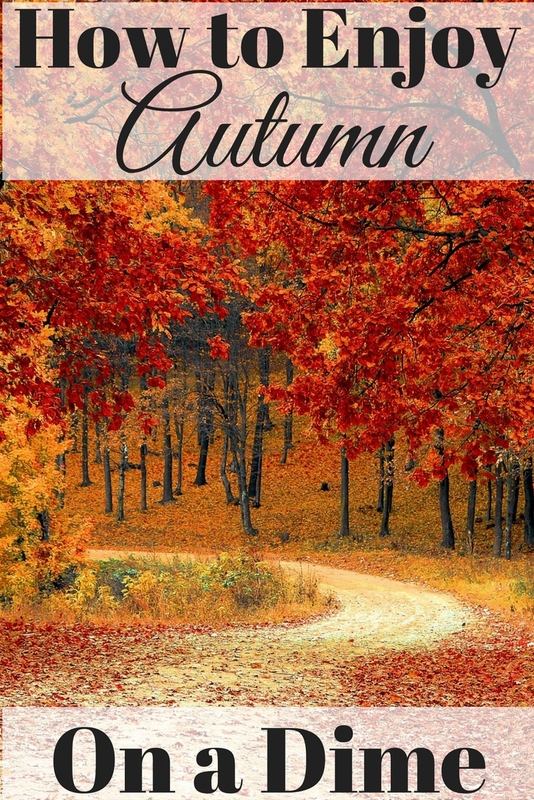 How do you choose to enjoy autumn on a dime?